Warm and dry air, a jet blue sky and white dolomite that reflects the sun. On one side the Sierra Nevada and its 14000 feet peaks, on the other, Death Valley. An open forest with ghostlike trees where time seems to flow more slowly than anywhere else. It is in this unique environment that the 20th North American Dendroecological Fieldweek (NADEF) was held from the 5th to the 13th of August 2010. 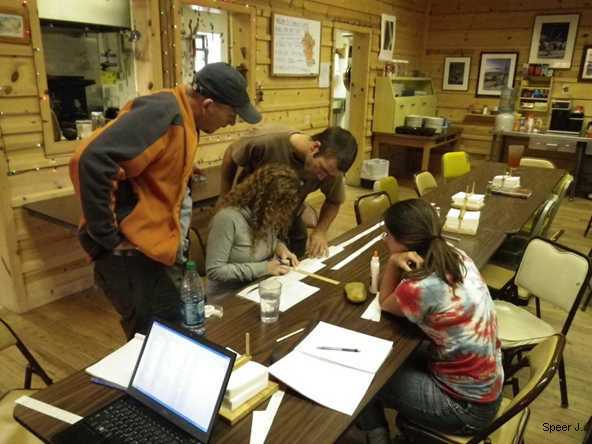 Dr. Jim Speer, from Indiana State University, with the help of numerous collaborators, organised this intensive field course on the art of deciphering information held within tree rings. 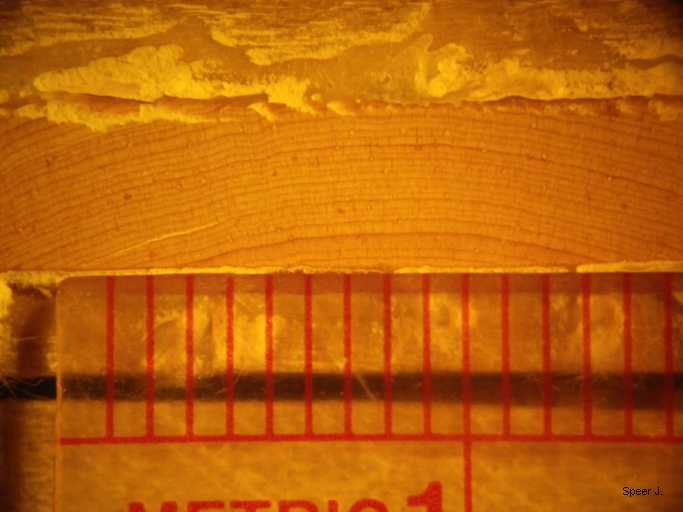 The basic principle of dendrochronology is that each year, a tree grows a ring of wood with characteristics that vary depending of the environmental conditions. 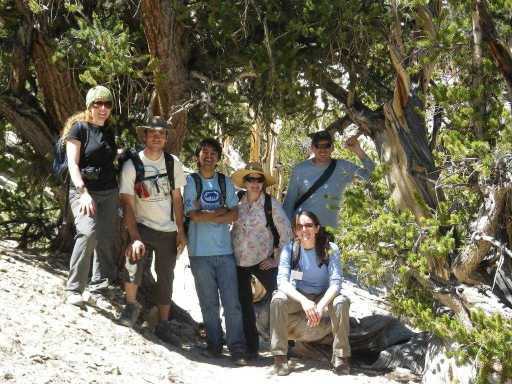 This course took place at the White Mountain Research Station , in the Inyo National Forest near Bishop, CA. 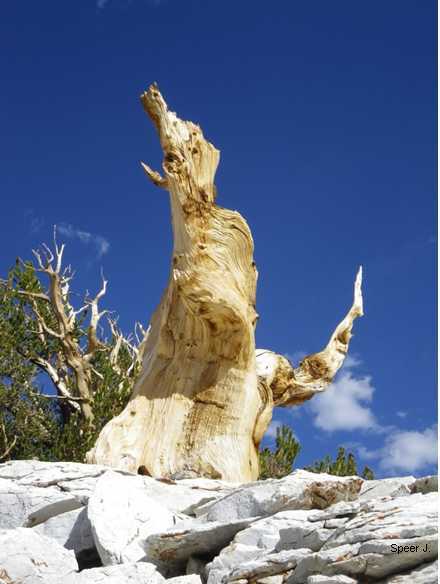 Around Forty researchers, professionals, students, teachers and dendro-impassioned participants learned, used and developed dendrochronological techniques to study the tree species with the longest living known individuals: the bristlecone pine, Pinus longeava. Numerous individuals are thousands of years old and their dean Methuselah is 4844 years old. Attendees were divided in five different groups according to their preferences or area of research, each group focussing on a different aspect of dendrochronology. The introductory group, led by Lisah Ababneh (independent researcher), learned the fundamental techniques of site selection and sampling and also discovered wood anatomy. They also learned the famous crossdating technique and used it to create a master chronology. Peter Brown (Colorado State University) and Chris Gentry (Austin Peay State University) led the fire ecology group: they studied the fire history of a ponderosa pine stand near Mammoth, CA. Using fire scars, they showed that drought events were not the main factor influencing fire intervals but that the ignition event (caused by lightning or people) was probably more important. Some of the students in this group had the opportunity to experience sampling with a huge chainsaw called “The Beast” (a Stihl 460 with a 28’’ bar). 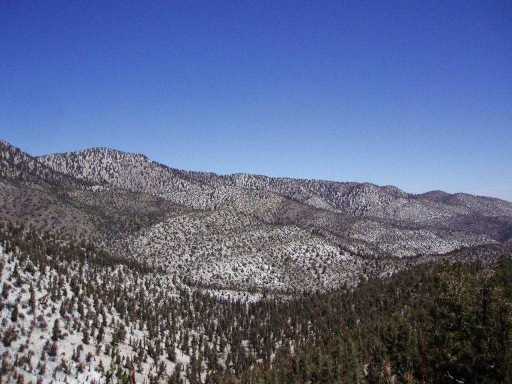 The dendroclimatology group led by Henry Grissino-Mayer (University of Tenessee) studied the bristlecone pine’s response to climatic variables. Using the ARSTAN and DENDROCLIM softwares, they showed the importance of spring precipitations on bristlecone pine growth in Methuselah grove. 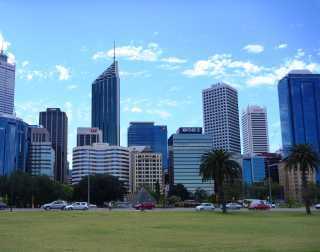 The group led by Kate Hrinkevich (University of Northern British Columbia) with the help of Tom Harlan (University of Arizona) worked on reconstructing a long chronology. This group had the privilege to work with exceptionally old samples of dead trees from Methuselah Grove along with some samples of historical significance collected by Edmund Schulman himself, pioneer of modern dendrochronology. Using a combination of dating softwares (CROSSDATING and COFECHA), visual scanning and exceptional patience they dated some samples at -5210 yrs (which means these pieces of wood were 7220 years old!). I participated in the dendroecology group, led by Jim Speer and Adelia Barber (University of California). 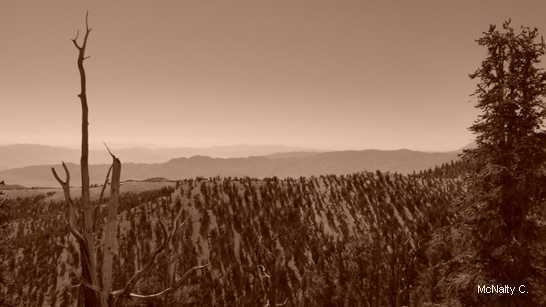 We worked on the age structure of a high elevation (~3000 m) bristlecone pine stand. We dated mortality events and establishment periods and used these results in combination with Adelia Barber’s PhD data to model the temporal dynamics of this stand using a Leslie population matrix. Our results showed that recently, juvenile individuals (<60 yrs old), have experienced very little mortality which led to a population increase. Moreover, the analyses of the spatial patterns showed a clustering of juveniles while adults were more regularly spaced. 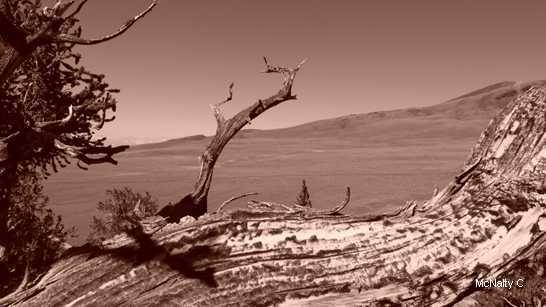 Therefore there is an increase and a densification of this White Mountains bristlecone pine population, probably because of favourable climatic conditions the last 50 years, and this dynamic might continue if no mass mortality event occurs (fire, pathogen, superdrought). The last day of the fieldweek, each group presented its results during a presentation session in front of all the participants and individual reports will be provided by each group to the National Science Foundation. Our last evening had a summer camp atmosphere: an awesome diner (thanks to the cooks), a camp fire with songs and a meteor shower (thanks to the Perseids). The feeling of time moving in slow motion near bristlecone pines almost made us forget that it was time to leave the White Mountains. This dendroecology fieldweek was an extremely rewarding experience: thanks to the dynamic organising team, we shared intense moments as much around microscopes and computers than during Jim’s «Hacky Sack» breaks or around the camp fire. Therefore, I strongly recommend the next NADEF(s) to every student beginning a project involving dendrochronology. 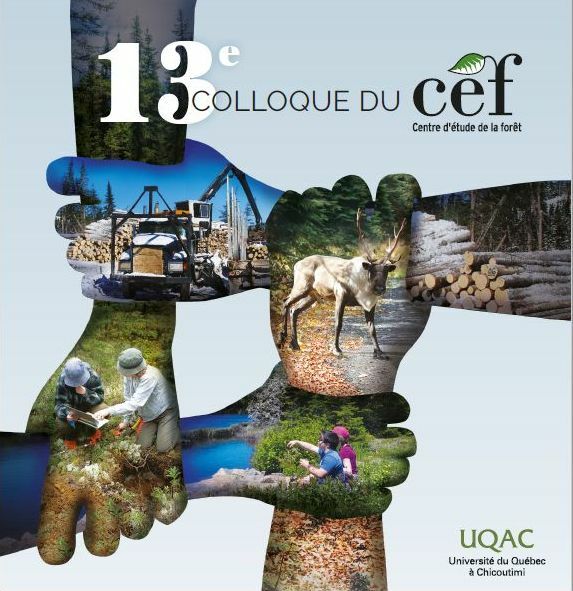 Finally, I would like to thank the Center for Forest Research and my supervisor Eliot McIntire for giving me the opportunity to attend this course. I would also like to thank Jim Speer and his 20th NADEF team for succeeding in making me enjoy dendrochronology (I admit I had many doubts about this subject before…).